Origins is famous for its plant-based skincare products, and indeed the brand was one of the first mainstream brands to heavily market itself as a natural skincare brand. Chances are, you've probably heard of any of their skincare ranges, with really cute names like Plantidote, A Perfect World, or GinZing. Despite being around since 1990, the brand is fairly new to me. 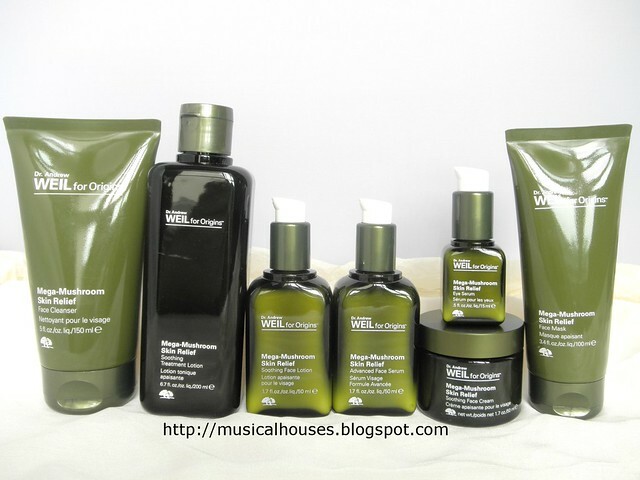 I've never tried anything from the brand, so it was some interest that I started testing out their Dr. Andrew Weil for Origins Mega-Mushroom Skin Relief Collection. Origins Mega-Mushroom Skin Relief: Mushrooms and lots of other plants to the rescue! The Mega-Mushroom Skin Relief range is a plant-based range and advertises itself as such, so I thought a quick summary of the science on 1)the oils in skincare in general, and 2) the oils in the product range, may help to set the stage. The Origins Mega-Mushroom Skin Relief range has a grand total of eight products to suit all preferences. First things first: Are Oils in Skincare Clogging to My Skin? What Do They Do In Skincare, Anyway? So, now that not all plant oils are a cause for alarm, what are these oils doing in skincare, anyway? Most oils have an emollient effect, as they smooth the surface of the skin. They also form some sort of barrier function, preventing water loss from the skin (known as TEWL, or transepidermal water loss). A high rate of TEWL is often associated with dry skin (obviously, because the more water your skin loses, the drier it becomes), so lots of skincare products are dedicated to reducing TEWL. Additionally, there is some evidence that acne-prone skin is usually deficient in linoleic acid, so one theory is that if your plant oils are rich in linoleic acid, then it could help to alleviate acne by replenishing the deficient linoleic acid. In theory, you could probably pick an oil (or a mix of oils) that have fairly high linoleic acid content and lower oleic acid content, and those oils shouldn't make acne worse. Some oils that have this property include Hemp Seed Oil, Evening Primrose Oil, Wheat Germ Oil, Pomegranate Seed Oil, and Borage Seed Oil. Some oils also have other benefits, primarily an anti-oxidant effect. For example, jojoba seed oil can have anti-oxidant effects, and grape seed oil is often touted as an anti-oxidant, which is why these oils are so popular. For people who really love their facial oils, some may like to use only one in the belief that it is best for their skin type, but others like to mix a couple of oils to try to get a bunch of benefits from the oils combined (e.g. high linoleic acid, with some anti-oxidant properties, while feeling relatively lightweight, etc.). So as you might guess from this summary, oils, even while lots of people love them, are quite a personal thing - it really depends on your skin's own fatty acid content, as well as what the user wants out of the product, and the skinfeel of the product (because some oils can feel quite heavy on the skin too). 1) Not all oils clog your skin. It depends on the fatty acid content in the oil: the higher the amount of oleic acid in the oil, the more clogging it is, while oils rich in linoleic acid could actually benefit skin types prone to acne. It also depends on your skin's own reaction to the oils, of course. 2) The benefits that oils bring to skincare are the ability to leave an emollient layer on your skin, reducing TEWL (water loss from the skin) and thus reducing one of the main causes of skin dryness. 3) Additionally, some oils can have other ancillary benefits when used in skincare, such as anti-oxidant effects. 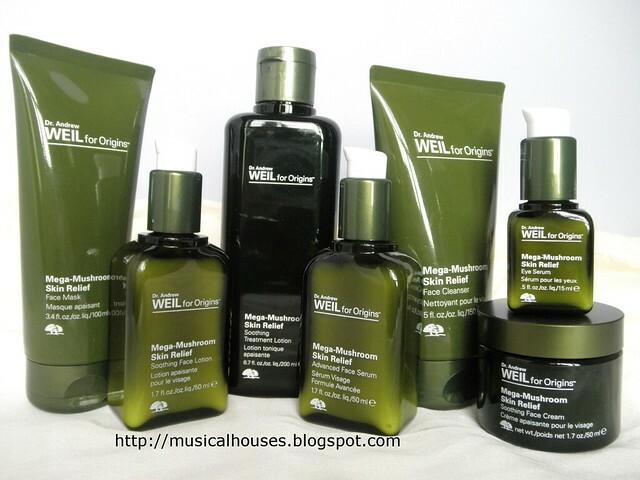 What About the Oils in the Origins Mega-Mushroom Skin Relief Skincare Range? The most common oils in the Origins Mega-Mushroom Skin Relief skincare range are Olea Europaea (Olive) Fruit Oil and Carthamus Tinctorius (Safflower) Seed Oil, by far. These appear near the top in almost all the ingredients list for every product in the range, with the main exceptions being the Eye Serum, the Face Cream, and the Face Lotion. So I thought it might be good to take a little bit more of a look at whether there were any benefits conferred by both oils, since, after all, they are a fairly major component in the product range. For olive oil, in addition to the usual emollient benefits that plant oils confer, there is some evidence that The high level of squalane from olive oil in some products protects the skin's sensitive lipids, and that high concentration of plant peptides protects the peptide bonds of the skin proteins. There's also some evidence that olive oil protects against some UVB damage, possibly through its antioxidant effects. So while I wouldn't recommend using olive oil as sunscreen wholesale, it's good to know that there is some proof of its anti-oxidant effects. Additionally, olive oil does have some anti-inflammatory compounds, so although stronger proof exists of olive oil's anti-inflammatory properties when consumed (i.e. eaten), it's possible that when applied topically, there will be some anti-inflammatory benefits as well. The anti-inflammatory and anti-oxidant effects that olive oil has comes from the phenolics in the oil, namely oleuropein and hydroxytyrosol. Safflower Seed Oil, on the other hand, had less data available. It does have emollient properties, and it also seems to be fairly high in linolenic acid, although whether this translates into benefits on the skin is a little debatable - you could reasonably expect it to work on skin (after all, replenishing your skin's sebum doesn't require very much penetration into the lower layers of the skin), but not all studies show this effect. While there isn't too much other information on safflower oil or safflower seed oil directly, it is quite similar in composition to sunflower oil, for which there is a bit more research. Sunflower oil has fairly high levels of tocopherol (Vitamin E), so it's a good balance to olive oil, which has a much lower tocopherol content than seed oils. On another note, it seems that safflower seed oil seems to be promoted by some sites online as part of a "healthier" diet - perhaps this also stems from its similarity to sunflower oil. There is also some evidence that sunflower oil might help atopic dermatitis even more than olive oil, and the same goes for sunflower seed oil. So as far as olive oil and safflower seed oil go, so far so good. I don't think there is too much reason to be concerned there. Some of the other oils that also appear in the product, however, might be a greater concern for other users, depending on how sensitive they are to the essential oils. Some of the minor oils that make an appearance in small amounts are Citrus Aurantium Dulcis (Sweet Orange) Oil, Lavandula Angustifolia (Lavender) Oil, Pogostemon Cablin (Patchouli) Oil, Citrus Nobilis (Mandarin Orange) Peel Oil, Pelargonium Graveolens (Geranium) Flower Oil, and Boswellia Carterii (Olibanum) Oil. These are mainly used as fragrances in cosmetics, and the science on these oils are mixed. On the one hand, there is some limited evidence that some of these oils have some benefits, such as orange oil having anti-microbial effects, or lavender oil having wound-healing benefits, or patchouli having some preventive effects against UV radiation. But the evidence for some of this is quite limited - I could only find a single study in all the above-mentioned cases, in contrast to the greater amount of studies done on olive and safflower/sunflower oil. I usually prefer if I can find multiple studies with conclusion that are in line with each other, because it indicates that the results are repeatable (i.e. the original result was not some sort of one-off fluke). And, on the other hand, some of these fragrant oils can be irritating for some people, especially in high concentrations. For example, lavender oil can be an irritant, although not all essential oils are irritants - for example geranium is fairly low on the irritancy list. So I'd say, it's possible that for some people they can work, but for others, they just trigger all sorts of skin reactions. My assessment would be to go ahead cautiously (e.g. with a test patch) and see how it works for you. So as far as the plant oils go? The two ones that are present in the largest amounts, Olive Oil and Safflower Seed Oil, don't seem to be a problem for most people, but depending on your skin type and sensitivity, some of the other essential oils might trigger some reaction. So test patch or get a sample if you think you might have skin that might be sensitive to some of these oils, but other people might see benefit from them. The Origins Mega-Mushroom range is advertised as being geared towards sensitive and inflamed skin, so for those with this skin type, you're probably wondering at this point, "It sounds like a mixed bag with so many plant oils - I don't know what to think!" Well, bear in mind that the fragrant oils are there only in small amounts, and that the two main oils are still Olive and Safflower. So if your skin can tolerate the more fragrant oils, you could potentially benefit from the anti-oxidant and anti-inflammatory effects of both the Olive and Safflower Oils, which can help with skin sensitivity or irritation. 1) The two main oils present in the Mega-Mushroom Skin Relief range in larger amounts are olive oil and safflower seed oil. Other oils that are present in much smaller amounts are sweet orange oil, lavender oil, patchouli oil, mandarin orange peel oil, geranium oil, and olibanum oil. 2) The two main oils, olive oil and safflower seed oil, confer emollient benefits when used on skin. Additionally, olive oil could confer anti-inflammatory and anti-oxidant effects as well. Safflower oil has a fair level of linoleic acid, and could confer anti-oxidant properties. 3) The rest of the lesser oils are primarily used as fragrances in cosmetics. The science is mixed, with some studies showing these oils to have beneficial effects, e.g. anti-microbial or wound-healing benefits, while other studies raise concerns that such oils cn be irritating for some others. The effect of these oils may depend on your skin type, so if you get the chance to, a test patch is a good idea. 4) If your skin is tolerant towards the essential oils in low amounts, then the products, being comprised mainly of olive and safflower oil, may help with skin irritation or sensitivity. The Origins Mega-Mushroom Skin Relief Range, because it uses primarily the same plant-based oils and extracts for the bulk of most of its products, ends up with somewhat similar formulations from product to product within the range. In some ways, this is a good thing - it means that if you've tried one product in the range, and really like it, chances are, you'll like the entire range. But which product should you start off with, if you're just dipping your toes into the range and don't want to buy everything at once? Ahh, decisions, decisions. Fortunately, after trying the entire range, here are my top three picks! (If you want to know more about other products in the range, do feel free to leave a comment, but to keep this post from getting too long, I'll just focus on my favourites for now). First, the Mega-Mushroom Skin Relief Soothing Treatment Lotion. This is one of the products that is more geared towards oily skin, as it is more water-based. Origins Mega-Mushroom Skin Relief Soothing Treatment Lotion: More emollient than your typical moisturizer. Here's the ingredients list, showing the first 15 ingredients. I've just listed the first 15 ingredients, because the actual ingredients list is pretty long. But for a look at the ingredients, it's more than sufficient, because these are the ones that make up the bulk of the product anyway. In fact, one of my favourite sites, The Beauty Brains (written by cosmetic chemists - love them! ), notes that "the first 5 ingredients are the ones that matter the most". There are a few exceptions like colouring pigments and preservatives. But for skincare ingredients, unless you have a prescription product like retinoid (which will be effective even at very low levels), most ingredients, particularly the humectant, emollient and botanical ingredients, actually need to be present in good amount before they can have a significant effect on their skin. Water, Anthemis Nobilis (Chamomile) Flower Water, Butylene Glycol, PEG-4, Hypsizygus Ulmarius (Mushroom) Mycelium Extract, Zingiber Officinale (Ginger) Root Extract, Curcuma Longa (Turmeric) Root Extract, Ganoderma Lucidum (Reishi Mushroom) Extract, Cordyceps Sinensis (Mushroom) Extract, Ocimum Sanctum (Holy Basil) Leaf Extract, Citrus Aurantium Dulcis (Sweet Orange) Oil, Lavandula Angustifolia (Lavender) Oil, Pogostemon Cablin (Patchouli) Oil, Citrus Nobilis (Mandarin Orange) Peel Oil, Pelargonium Graveolens (Geranium) Flower Oil, etc. You can see that other than water (which appears twice in the ingredients list - once as water and once as Chamomile Flower water) there are also some of the plant extracts and oils that I mentioned earlier. In addition to the emollient effects provided by the oils, there are also humectants (Butylene Glycol), and emulsifiers to ensure everything stays mixed and doesn't separate (PEG-4, Trideceth-9). I'd say that the main attraction of this product would probably be the plant extracts which I've talked about earlier, because the remaining formulation is rather simple, consisting of primarily emollients and humectants. From the formulation, which consists of lighter-feeling ingredients (Water and Butylene Glycol being the primary ones), you would expect this to have a light, watery texture, too. Origins Mega-Mushroom Skin Relief Soothing Treatment Lotion: A watery, Japanese-style lotion with more emollient properties than most. And sure enough, as expected, when I tried this out, it was a watery lotion (think of the Japanese-style lotions) that absorbed very fast. I felt like it did help to moisturize my skin in this hot and humid climate, but because it was mostly water, if you're in a dry climate, you may want to follow up with a moisturizer. In warmer months though (like Singapore now! ), this might just be sufficient if you have oily skin. I picked this because I thought it represented a good option from the range for oilier skins that want to try out a skincare product from the Mega-Mushroom range. 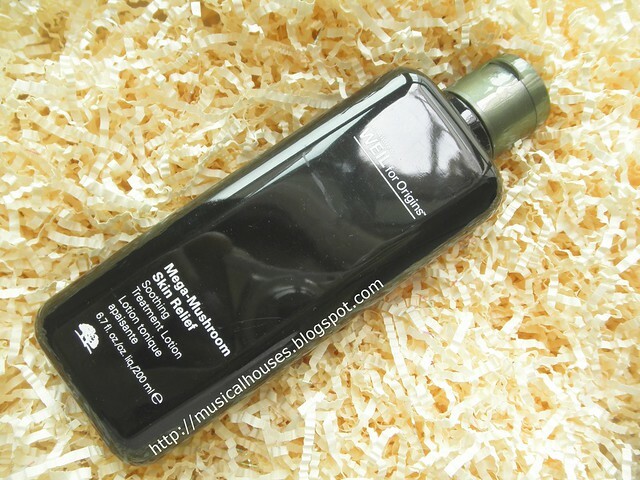 Secondly, the Mega-Mushroom Skin Relief Advanced Face Serum. This would be my pick for normal to dry skin - it's not for the driest of skins (for that, you can opt for the Soothing Face Cream as well), but hydrates pretty well across the board. Origins Mega-Mushroom Skin Relief Advanced Face Serum: Packed with emollients and plant extracts. Water, Jojoba Seed Oil, Glycerin, Yeast Extract, Olive Fruit Oil, Caprylic/Capric/Myristic/Stearic Triglyceride, Meadowfoam Seed Oil, Hydrogenated Lecithin, Hypsizygus Ulmarius Mycelium Extract, Orange Oil, Lavender Oil, Patchouli)Oil, Mandarin Orange Peel Oil, Geranium Flower Oil, Boswellia Carterii (Olibanum) Oil, etc. The first thing you'll notice is the plant oils and extracts that I've mentioned. There really are a lot of them, and Origins seems to have formulated with them in fairly high concentrations, which is good if that's the main reason you're buying the product. Other than the plant extracts, you'll find primarily humectants (Glycerin), emollients (Caprylic/Capric/Myristic/Stearic Triglyceride, Hydrogenated Lecithin). Again, the primary benefit of this, other than the plant extracts, is the skin-conditioning benefits, and hydration. Origins Mega-Mushroom Skin Relief Advanced Face Serum: Also similar to the Soothing Face Lotion in feel and application. So, when I used this product, I was expecting it to be quite thick or heavy, given how many emollients were in there. Surprisingly, it was more like a light gel, which absorbed fast. It's moisturizing enough that I didn't feel like I had to use another product over it, but if you live in a dry or cold climate you might wish to do so anyway because this light lotion alone may not be sufficient. I picked this because I thought that as a fast absorbing serum with emollient and hydration benefits, this would be one that most people would find usable in their skincare regime. Now, the lone eye product in the Mega-Mushroom range, which is the Mega-Mushroom Skin Relief Eye Serum. Out of the 8 products in the Mega-Mushroom range, this is the only one for the eye, which is why I picked it. 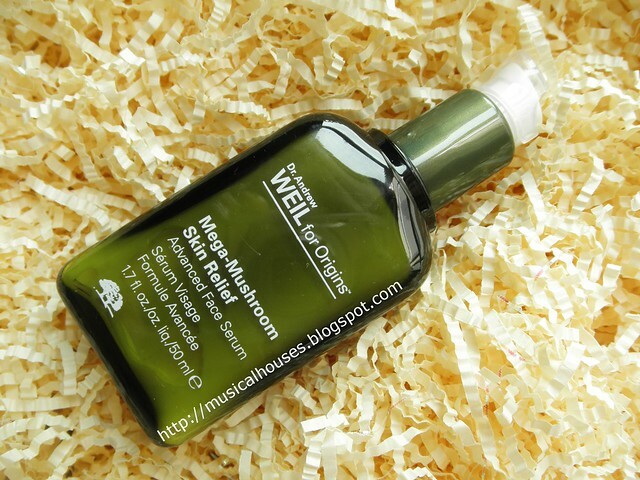 Origins Mega-Mushroom Skin Relief Eye Serum: An eye serum with emollients and humectants. Water, Myrtus Communis (Myrtle) Leaf Water, Anthemis Nobilis (Chamomile) Flower Water, Methyl Trimethicone, Yeast Extract, Butylene Glycol, Polysorbate 40, Dimethicone, PEG-100 Stearate, Silica, Cetyl Ricinoleate, Hypsizygus Ulmarius Mycelium Extract, Ganoderma Lucidum (Reishi Mushroom) Extract, Cordyceps Sinensis (Mushroom) Extract, Zingiber Officinale (Ginger) Root Extract, etc. Ingredients-wise, this consists mainly of emollients (Cetyl Ricinoleate), and humectants (Butylene Glycol). There are also a couple of silicones (Methyl Trimethicone, Dimethicone) which in this case also function primarily as emollients. Of course, there are emulsifiers (Polysorbate 4, PEG-100 Stearate) which is necessary in any product combining oil and water. Again, as with the face products, the main draw of this product would be the plant extracts, because the remainder of the formulation is pretty stripped-down, with Origins choosing to let the plant oils and extracts take center stage. 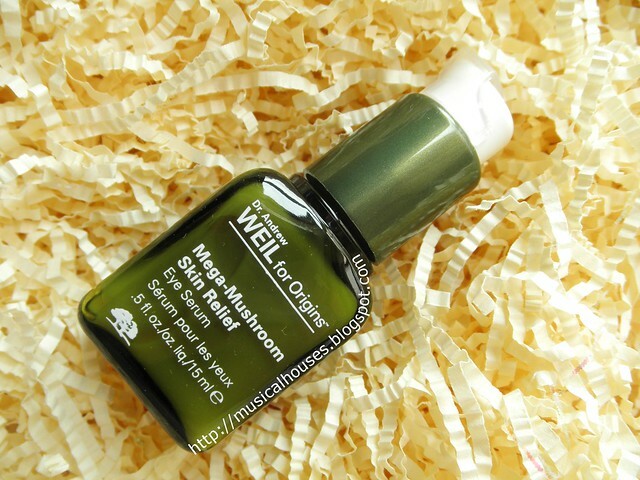 Origins Mega-Mushroom Skin Relief Eye Serum: A light but emollient eye serum. The first thing I noticed when I used the Skin Relief Eye Serum was that it doesn't have the citrus-y, linanool-like scent that I found all the other products in the range to have so far. Perhaps this is because it's formulated for the eye area, and they wanted to keep it suitable for the eye. I couldn't really place the scent of this - it was more subtle (perhaps mushroom-y might be a way to describe it), but in any case, after application there isn't any scent. And as expected, with the emolliency of the product, I felt like it did moisturize my eye area. It feels more thin and balmy (like a lighter version of a facial oil) than thick and creamy however, once you rub it in, and after a few seconds it absorbs fairly fast. Origins claims that this is a serum and you can use it under your eye cream, but depending on your skin type, if your skin isn't particularly dry, you may find that this does a good enough job of moisturizing your skin on its own. Origins Mega-Mushroom Skin Relief Range: Best for dry skin that needs some help repairing the barrier function. So, what's my overall view on the Mega-Mushroom Skin Relief range? In order to answer this question, we'll need to consider two key features of the skincare range, namely 1) it is formulated generally with quite a lot of emollient products (especially the serums and cream products), and 2) it is formulated with quite a significant number of plant oils and extracts. So, let's start off with the first point. Since the range is formulated to be generally quite emollient, I'd say you'll probably like this best if you have dry skin to start off with. People with aging skins might also like this, because skin tends to get drier as it ages. If you have oily skin, then you might want to pick the more lightly-formulated lotion products (the Soothing Treatment Lotion and Soothing Face Lotion are good picks) rather than go for the serums and the creams. If you have very dry skin, then the Soothing Face Cream, with its thicker texture, will probably be better for you. So do play around with the range to see what products you like best - after all, this is a range with two lotions, a serum, and a cream all for your face only. So some judicious choosing of products will help here. Now, let's go on to the second point - the plant oils and extracts. I've already spoken enough about the scientific literature behind the oils and extracts, so I'd like to in my conclusion mention something about how this range is marketed. One thing that I really respected about the product was its commitment to its advertising - it advertises itself as a natural, plant-based product, and sure enough, the ingredients are indeed comprised largely of plant extracts. That impressed me on its own because I've seen lots of brands advertise themselves as being "natural", yet when you look the ingredients list, it's clear that the plant extracts come in below the preservative line, at levels of less than 0.1%. So to be fair, if you're a consumer looking for more plant oils and extracts in your skin, this is a range you could check out. In all, I'd say if you 1) have dry skin 2) like plant-based skincare and can tolerate plant extracts/oils in your products, this is worth checking out. If you have oily skin, you might want to test out some of the lotion products before making a purchase. If you want to try samples of the product, you can visit an Origins counter for a skin consultation, or you can also visit the Clozette website to redeem some samples. The Bottom Line: This is probably a love-it-or-hate-it type product, with its heavy usage of plant oils and extracts. If you have skin that suits those types of ingredients, then you'll find this a great way to moisturize your skin, with some additional benefits. This range probably kick-started my face products obsession almost 10 years ago! It is okay in my opinion but not the be-all end-all. But then....I'm still searching for that! I did find more redness relief from the Intral series than this range (as someone with rosacea). But I do love the plant goodness and follow Dr Weil and his philosphies on food and beauty religiously because he is massively smart and sensible! Thank you for this post!! I received a sample box of several of these products for Christmas and am having a tough time figuring out which ones to use, and in which combination. This post has been so helpful! I use the lotion and skin serum and face mask. 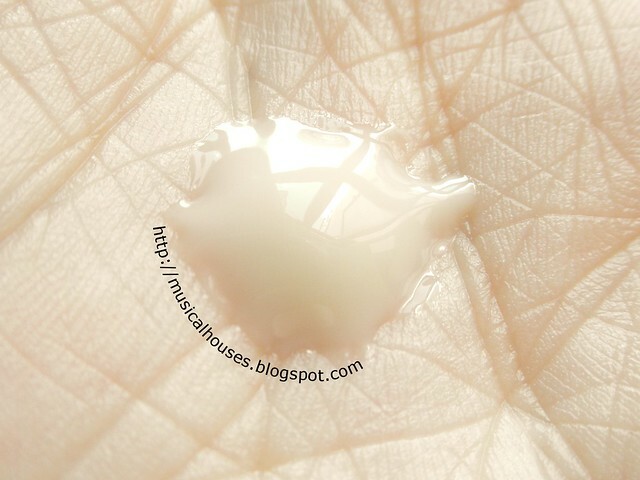 This post explained why they work so well for my dry and inflamed skin. It's the plant oils. They leave this nice layer on my skin that lasts all day and stops tightness without clogging pores. I've been using for 6 months now and my skin looks great. I've been using the megamushroom face lotion a year now. I have acne prone screen and this toner really works from me. Before i used my derma recommended toner but i have side effects like drying and some breakouts. Unlike this i have seen that my skin looks good after using a year and have lessen acne breakouts. My dry skin is also gone. What i've noticed is on my pimple is lessen the redness which is very good on me. I aslo combined is with my origins check and balances face wash. Now i dont have breakouts easily. I also do acne facial every month. Just want to share my skin care routine for male outhere who have oily skin and easily get breakouts.